Want to learn to talk in Spanish? And speak some simple Spanish conversation? Cool. 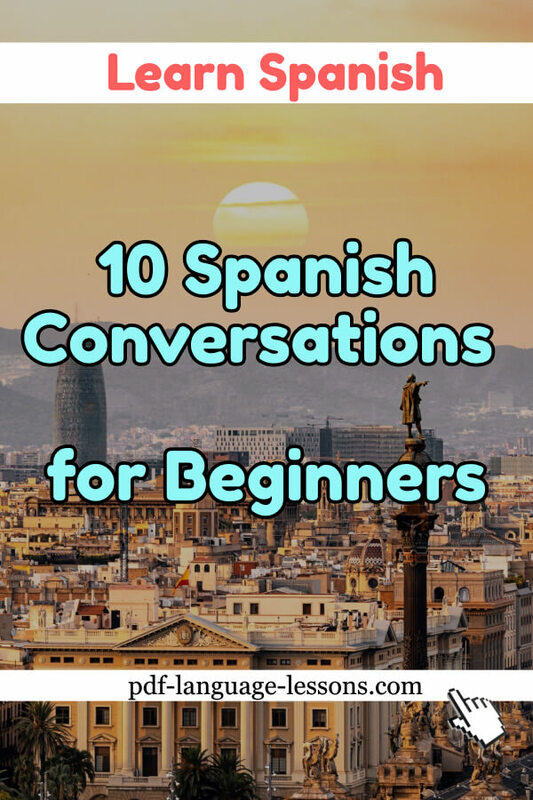 Today, you will master some simple Spanish conversations that you can break down and learn new phrases from. By the way… you should also listen and hear real Spanish – Press play below. Try this Free Lesson from SpanishPod101.com (click here to visit for more awesome lessons) for how to say hello in Spanish. It’s only 3 minutes long. This basic Spanish conversation, unrelated to the audio lesson above, just covers the simple “catching up” and greetings. 1: ¡Hola! ¿Qué tal todo? 2: Todo bien, ¿y tú? ¿Qué hay de nuevo? All is well, how about you? What’s new? 1: Estoy emocionada porque este fin de semana es mi cumpleaños! I’m excited about this weekend because it’s my birthday. 2: ¡Feliz cumpleaños! ¡Vamos a la fiesta! Happy birthday! Let’s go to the party! If you want to learn how to introduce yourself in Spanish, you’ll want this Spanish conversation. 1: Hola a todos y todas, me llamo Katia. Hi everyone, my name is Katia. 2: Buenos días, Katia, mucho gusto. Good morning, Katia. Nice to meet you. 3: Un placer, Katia. Yo me llamo Cosmin. A pleasure to meet you, Katia. My name is Cosmin. 1: Muchas gracias por la invitación. Thanks very much for the invitation. Next up is ordering food. If you do it often in English, you’ll definitely need to do it in Spanish. 1. ¿Qué quieres para beber? 1. Tenemos refrescos, vino, cerveza, café o té. We have sodas, wine, beer, coffee or tea. 2. Para mí, un té de manzanilla. A chamomile tea for me. 1. ¿ Y para comer? 2. Me gustaría el arroz con pollo, por favor. I would like the rice with chicken, please. 1. Buenos días. ¿Cuánto cuesta el imán? Good morning. How much does the magnet cost? 2. Dos (2) pesos. Hay una oferta para cinco (5) a nueve (9) pesos. Two pesos. There is a special price of five for nine pesos. 1. Me gustaría tres (3) imanes. ¿Cuánto sería? I would like three magnets. How much would it be? 2. Seis (6) pesos en total. You already know how to order food. But what about the bill? 1. La cuenta, por favor. 2. Ahora te la traigo. 1. ¿ Puedo pagar con tarjeta? 2. Claro que sí. Sólo te pido la firma. Of course. I just ask for your signature. This is a useful basic Spanish conversation. Talking about preferences is a common thing to do so this will serve you well. 1. ¿Qué te gusta comer? ¿Adónde quieres cenar? What do you like to eat? Where do you want to eat dinner? 2. A mí me gusta la comida italiana, peruana y tailandesa. I like Italian, Peruvian and Thai food. 1. Me parece buena idea. A mí me apetece comer mariscos. Sounds like a good idea to me. I am craving seafood. 2. Vamos a comer ceviche entonces en un restaurante peruano. (Vah-mohs ah cohmer se-vee-che ehn-ton-ses ehn ewn restaurant-eh peh-roo-ahno. Then let’s go eat ceviche at a Peruvian restaurant. Okay, you know how to introduce yourself but what about your family? This Spanish conversation will take care of it. 1. Ella es mi madre. 2. ¡Qué lindo conocerte! Se parecen mucho. How very nice to meet you. You look very much alike. 1. A veces, me preguntan si es mi hermana. Sometimes, people ask me if she is my sister. 2. ¿ Tienes otros hermanos y hermanas? Do you have other brothers and sisters? 1. Sí, un hermano mayor y una hermana menor. Yes, an older brother and a younger sister. Agreeing is a great way to…. get people to like you! I mean, who wants to hang around someone that’s shooting down everything you say. So, it’s good to know how to agree in Spanish. Especially about music. Check this Basic Spanish conversation out. 1. ¡Ésta canción es mi favorita! Es lo máximo. This song is my favorite! It’s the best! 2. Estoy de acuerdo. La música es muy buena. I agree! The music is very good. 1. Me gusta el video musical y el baile. I like the music video and the dance. And sometimes, you should shoot things down. Like when someone wants something of you. So, here, you’ll learn how to decline in Spanish. 1. ¿Te gustaría viajar conmigo a Quito? Would you like to travel with me to Quito? 2. No, pero gracias por la invitación. No, but thanks for the invitation. 1. ¿Tal vez vamos de viaje otro fin de semana? Maybe we could go on a trip some other weekend? 2. No puedo. Trabajo los fines de semana. I can’t. I work on the weekends. 1. ¿Cómo te puedo ayudar? 2. Necesito el número del jefe, por favor. I need the manager’s number, please. Okay, now you know 10 basic Spanish conversations. What’s next? How can you get good with this? 1) Read out loud and 2) try and speed up your reading. Why? The faster you can read, the better you’ll get at reading and speaking in general. Okay, this brings us to the next point. 3) Review these Spanish conversations as much as possible. Nobody learns on the first try. Not I. Not Einstein. And definitely not you. If you want these words to be in your head, you need to review them for a few minutes per day. 4) Print this page out. That will make the reviewing easier. P.S. 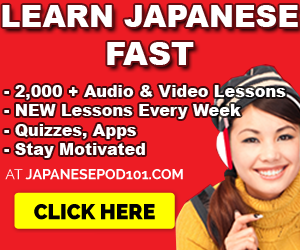 Want some easy and free Spanish lessons? This entry was posted in Spanish by admin. Bookmark the permalink.